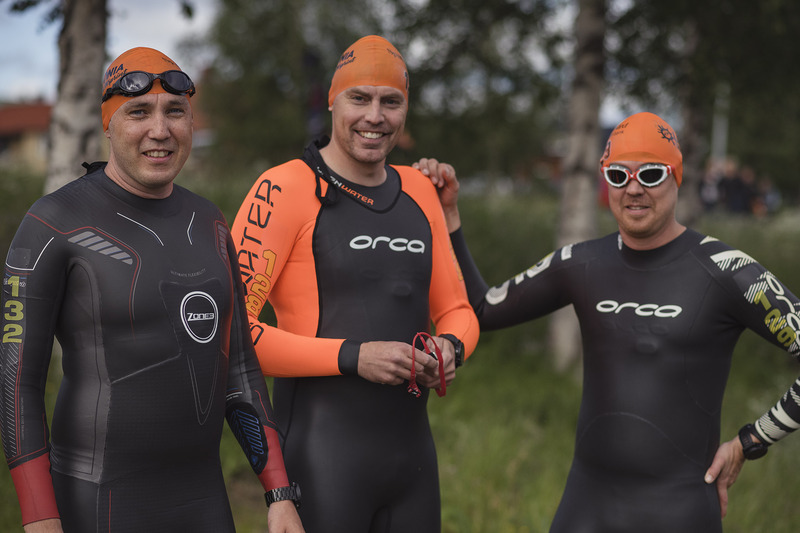 An opportunity to challenge yourself, your friends and your colleagues or to try triathlon for the first time. 750 m swim, 20 km bike and 5 km run. 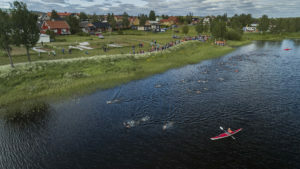 The 2019 race takes place in Gällivare on Thursday July 4, at 17:00. 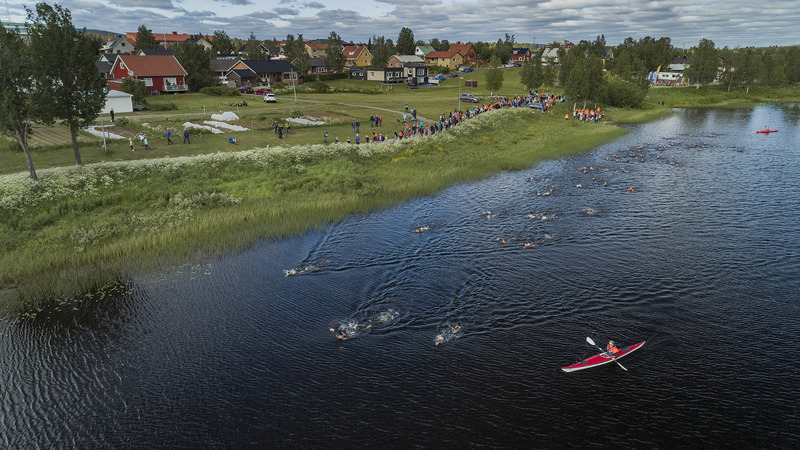 The swim is in the river Vassara, some hundred meters upstreams from ”Gällivare camping”. Transition area and finish is on a meadow just next to the swim start. 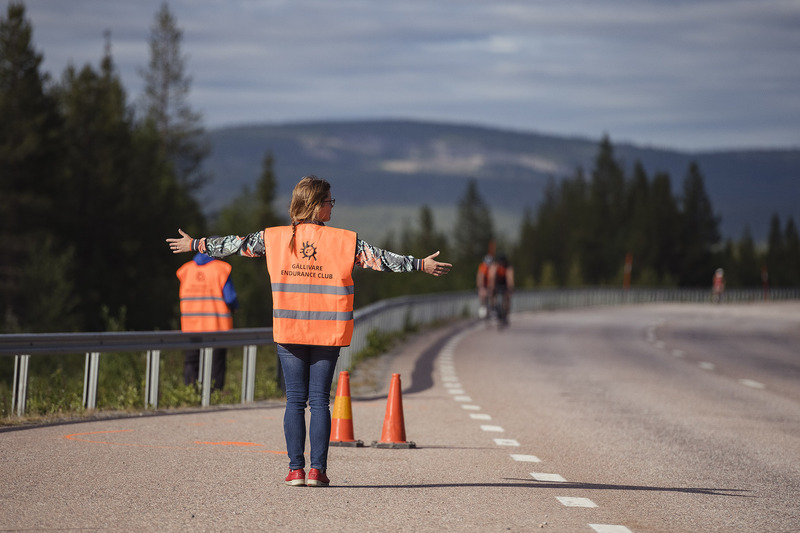 Check-in of bike and gear at the starting area is done between 15:30 – 16:30. All athletes must have checked-in before 16:30. The timing is done electronically and you will get your timing chip when checking in at the starting area. Timing chip must be worn during the entire race! Late entry is done at the race office and must be done before 16:00 on race day. 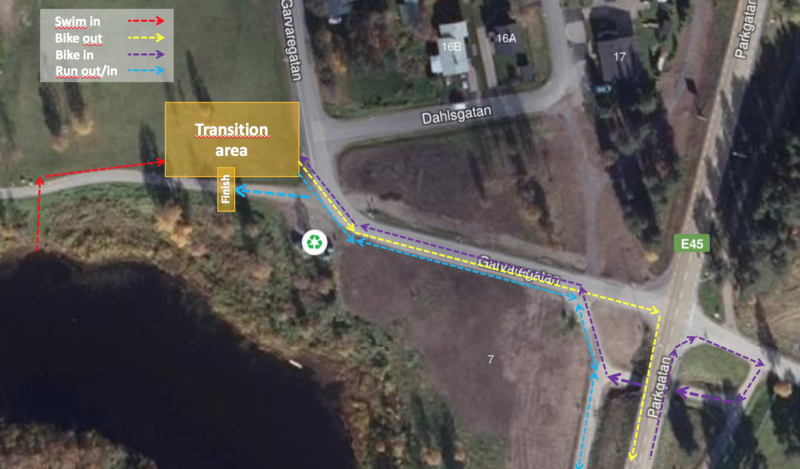 Please note that it is not possible to register for the race down at the starting area, only at the race office! Pickup of race numbers is done at the race office. 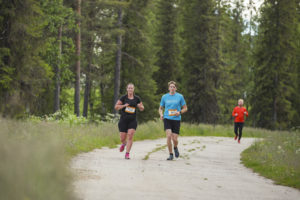 It is not possible to pickup the race numbers down at the starting area. Please make sure to pickup the race numbers well ahead of the race (race office is open 12:00-16:00 on Thursday). 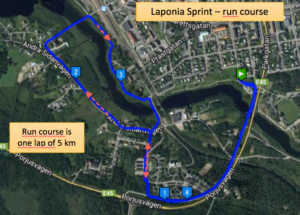 The race office is located at Quality Hotel Lapland, two floors above the reception. In the transition area there will be bike racks marked with start numbers. Hang up your bike at the place marked with your race number and place your transition gear (helmet, cycling shoes, running shoes etc.) on the ground below your bike. After the swim you put your wetsuit on the ground below the bike and the same goes for your cycling equipment after the bike segment. After the finish you collect your bike and gear in the transition area. 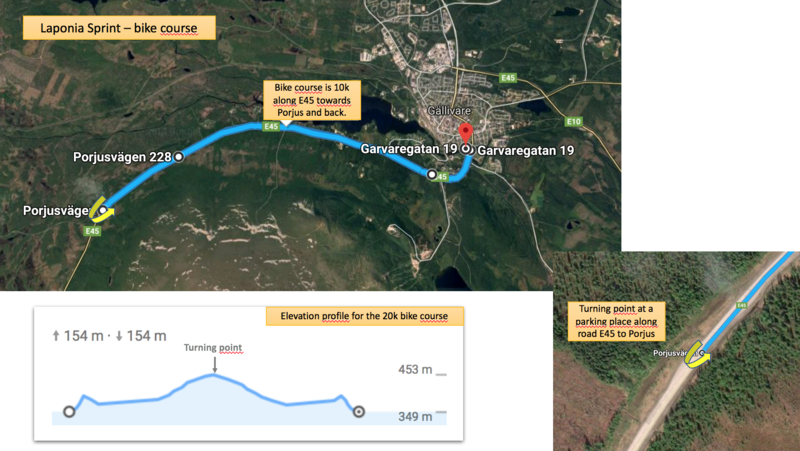 Due to planned road works on E45 we will probably move the bike course to Nattavaaravägen. 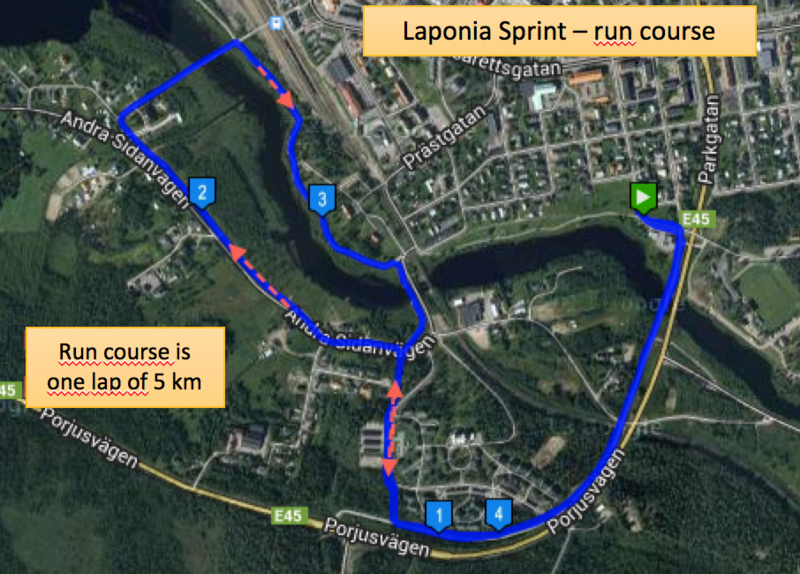 We have a good course planned also for Nattavaaravägen so this will be just as good as E45. Open class men and women (No race license is required). Minimum age to participate is 16 years (i.e. born year 2003). It is however possible to apply for permission also for younger participants. In that case it is the parents that take the full responsibility. 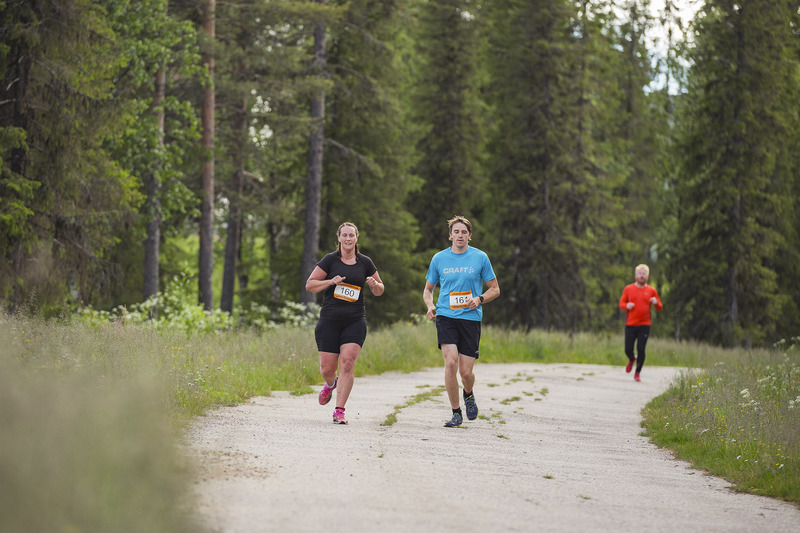 Contact the race director if you want to register a participant younger than 16 years. Register for the Sprint here! No refund in case of cancellation but it is possible to sell the starting place on the market place on MittLopp.se. You find links to the market place on the registration link above. 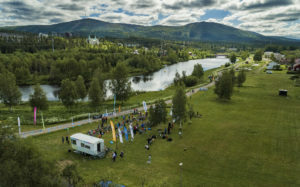 Registration is done through MittLopp which is the official system used by the Swedish Triathlon Union for online registration. Payment is done with credit card or Swish. There is no maximum time limit for the sprint race. Take the time you need! When you have crossed the finish line you will get refreshments. There are toilets in the transition area but no access to showers or changing rooms. 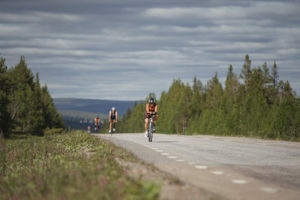 Results list will contain splits for swim, T1, bike, T2, run and total time. The timing is done electronically and the timing chips must be worn during the entire race. 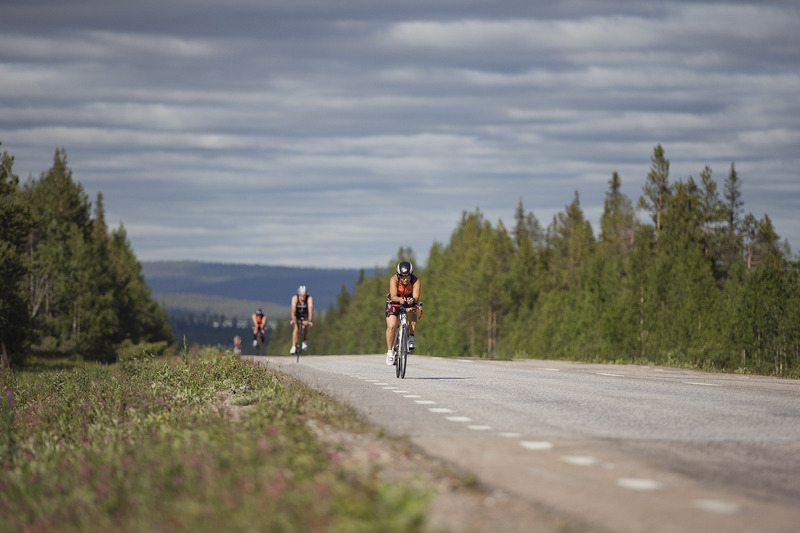 Drafting on the bike is not allowed and 10-meter distance applies. The distance is measured from front wheel to front wheel. 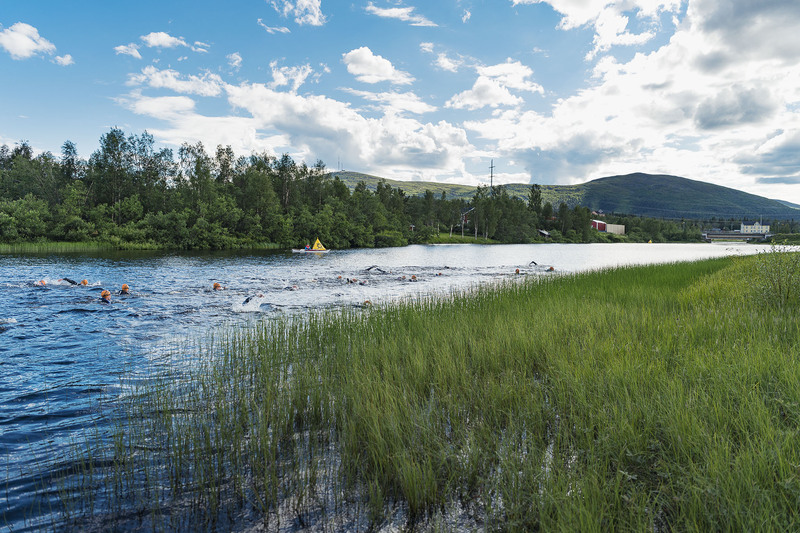 Neoprene cap is allowed during the swim but you must wear the race official swim cap visible on top of that. Gloves are not allowed during the swim. Socks/booties are not allowed during the swim. The race number must not be worn during the swim. The race number must be visible from the back during the bike segment and from the front during the run. The timing chip must be worn during the entire race. Helmet is mandatory during the bike leg. You are not allowed to ride your bike inside the transition area. You may get on your bike after leaving the transition area and must get off your bike before entering the transition area. 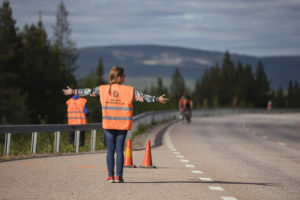 Race marshalls will be present along the course and will hand out penalties in case of rule violations. If given a blue card, you have to serve a 1 minute penalty at the penalty box. Blue cards are given for violations of the non-drafting rule. If given a red card, you are disqualified. The penalty box is located at the transition area and if given a card you must serve the penalty the next time you pass the penalty box. 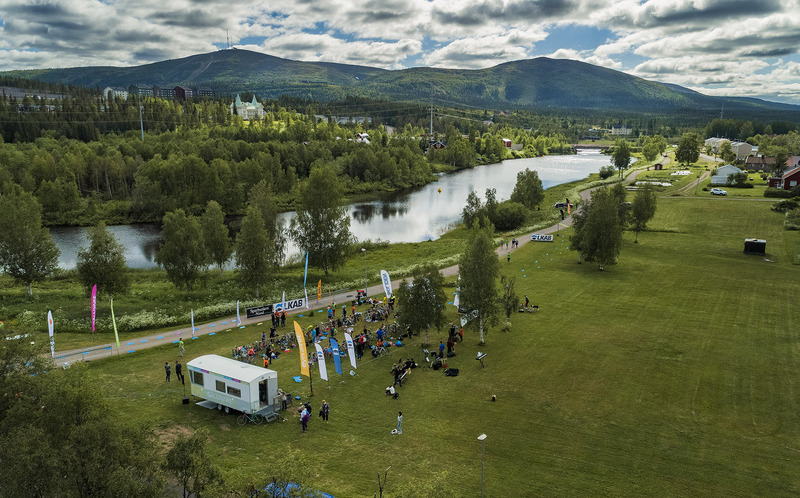 Awards ceremony will take place at Quality Hotel Lapland on Thursday at 20:30. Top-3 for the men and women will be honored and there will be chances to win prizes in a lottery. To be able to win in the lottery you have to be present at the ceremony to collect the prize.